Popular music greats who once graced our music scene came out in their numbers Saturday night to help one of their own, Akosua Agyepong celebrate her 20th birthday in music at the Accra International Conference Centre. Akosua Agyepong was celebrating a music career that started in 1990 attaining 20 years in the industry this year. To commemorate her second decade of doing music commercially, â€˜Akosua @ 20 Musical Concertâ€™ was put together by Media Excel Production as a celebration of Akosua Agyepong and also to enable her fans re-live the good old days of her music. Akosua Agyepong, who became a house hold in the 90s was discovered by another music legend Nana Kwame Ampadu and she quickly became synonymous with a very sweet voice and well-crafted dance moves. Akosua Agyepong was born in Accra on the 17th of November 1959 and she is a half Ashanti, half Akyem. She started her education at Harrow International School and later attended Holy Child Secondary in Cape Coast after which she had a one year computer course at NCR. She entered music afterwards. Akosua started composing songs as a child indicating that, music was an inborn passion for her. She was subsequently discovered by legendary Nana Kwame Ampadu and subsequently came out with her first album Frema which was released on January 1, 1990. 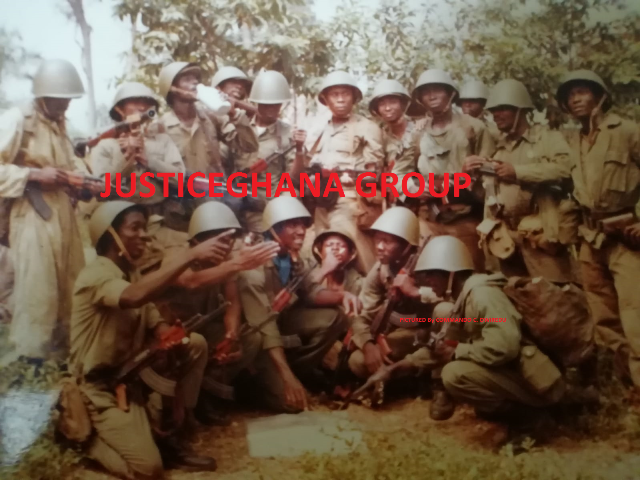 The Frema album had songs like 'Me ye Obaa', 'Born again', 'Anan tuo', 'San be hwe wo mba among others. Her second album was entitled 'Esiwa' had the hit song like 'Kokokoo'. Her third was with music group NAKOREX which was made up of herself, Nat Brew and Rex Omar. Akosua has five albums to her credit, one in collaboration with NAKOREX and another as a member of NAKOREX. The group released two albums which included the popular hit song Kpanlogo. She later turned into doing gospel music. Akosua Agyepong is married to Rev Daniel Asamoah-Larbi and she is a mother of six, Ewurama, Ebo, Nana Akua and Maame Kwakywaa, Kweku and Efua Amoabea. She also owns a restaurant, 'Ye Kum Kom' at Rawlings Park in Accra Central. Old music greats; Bessa Simons, Tagoe Sisters, Stephanie Benson, Asabea Cropper and Kente Man, A.B. Crenstil, Gyadu Blay Ambolley, Rex Omar with new artistes King David, Becca and others treated audience to good tunes. These artistes put up splendid performances as if they were the stars of the moment. It was a battle between the audience and the artistes on stage as to who could sing the songs best. Akosua Agyepong made her first appearance of the night with a gospel performance highlighting the latter years of her music career where she turned into doing gospel music. She made way for performances from other artistes of the night and a video documentary on her life in music. Her second performance was spectacular and it was what everybody was waiting for, her days of choreographic dance and sweet melodious sounds. Dressed in yellow coat with an inner black shirt and yellow 'trousers' with black boots to match, she was just unstoppable as she dished out her classics which included the ever popular â€˜Fremaâ€™. Akosua and her dancers displayed beautiful choreographic dance moves to the delight of the audience; it was as if she was still in her prime years. A compiled version of Akosua Agyepongâ€™s major songs was released and auctioned with the first copy going for 2,000 Ghana Cedis. Notable personalities such as Diana Hopson, Musicians Union of Ghana (MUSIGA) president, Stella Seal, Amy Newman, Andy Frimpong Manso, Mike Oquaye Jr and a hosts of others graced the concert. What seemed to be a unification of her group NAKOREX did not see the light of day as intermittent power cuts affected the stage and audio equipment thus bringing the show to an abrupt end.